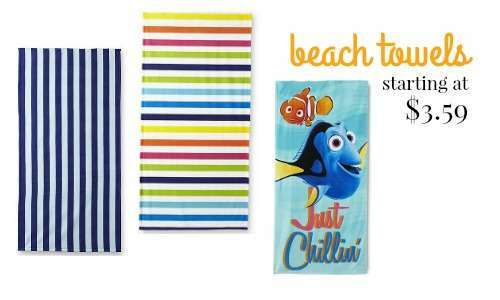 Right now you can get a great deal on beach towels from Kmart! They have select beach towels on sale starting at $3.59. Plus, if you’re a Shop Your Way member, you’ll get 50% back in points when you buy select beach towels. And if you spend $5 on a qualifying home purchase, you’ll get back $5 in points. Your points will be added to your Shop Your Way account and can be used on your next purchase. This offer is valid through 7/9. Shipping is FREE with orders of $35 or more.